While true spring weather might not arrive in most of the country for another month and a half, now marks the time of year when we all get excited about it. The winter has been dragging on, the sidewalks are awash in slush, and everyone is just starting to get optimistic about greener pastures ahead. 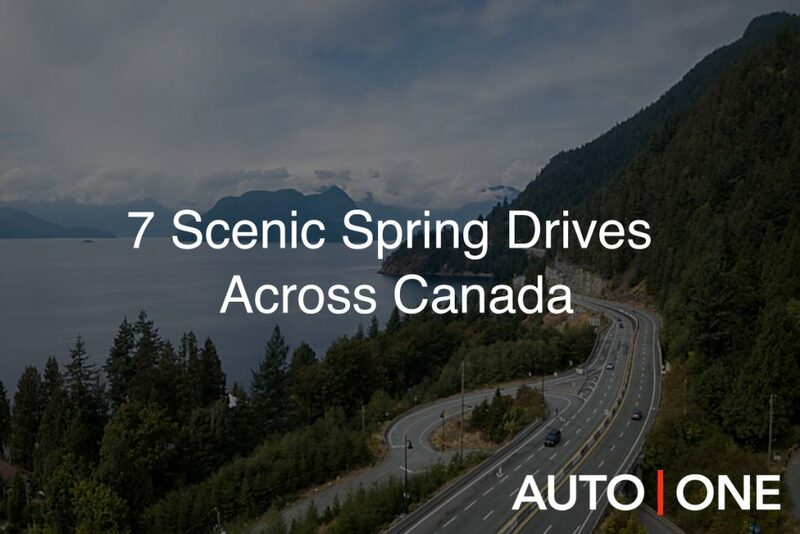 With that in mind, we figured it would be fun to daydream together – to look ahead at a few of the scenic drives that a Canadian spring has to offer. If you peruse this list and wonder why only a handful of provinces are represented, it’s not just you; AUTO ONE Group operates a luxury car dealership in Vancouver Toronto and Halifax, so we have chosen places in Nova Scotia, Ontario and BC. Understand, therefore, that this isn’t as much a comprehensive list as it is our picks for amazingly scenic drives in the surrounding areas. How did we choose the entries on this list? Well, when we think about what makes an amazing spring drive, we are essentially looking at three key criteria: natural spring beauty (think blossoms and greenery), driveability, and destination. Each of these entries is gorgeous to look at, fun to drive through and will put you at a destination where you can spend some quality time. Let’s dive into spring. Nova Scotia’s Cabot Trail, the most easterly entry on this list, is not only one of Canada’s best drives – it’s arguably one of the world’s best. A winding staircase set into the side of rolling hills and overlooking the Atlantic Ocean, the Cabot Trail is the perfect marriage of sea and land. Thanks to pristine, asphalted road conditions (for the most part), the Trail is effortlessly driveable. But the Cabot Trail is more than just a pretty drive; along the way, you’ll encounter time-frozen fishing villages, hiking trails, whale watching tours and other activities. The Toronto to Ottawa drive is one that many in Ontario make, whether for business or to check out two of the provinces hubs. But whereas the drive can be a bit devoid of nature, stopping through Algonquin Park handily solves that issue. From either Toronto or Ottawa, Algonquin Park takes about three hours to drive, and once you are there, you are rewarded with another stunning drive: the Highway 60 Corridor of the park itself. Along the Corridor, you will find an abundance of natural spring beauty, from wildlife sightings to dramatic views, and you will also find campsites, trails, beaches, restaurants, museums and clearings for picnics. 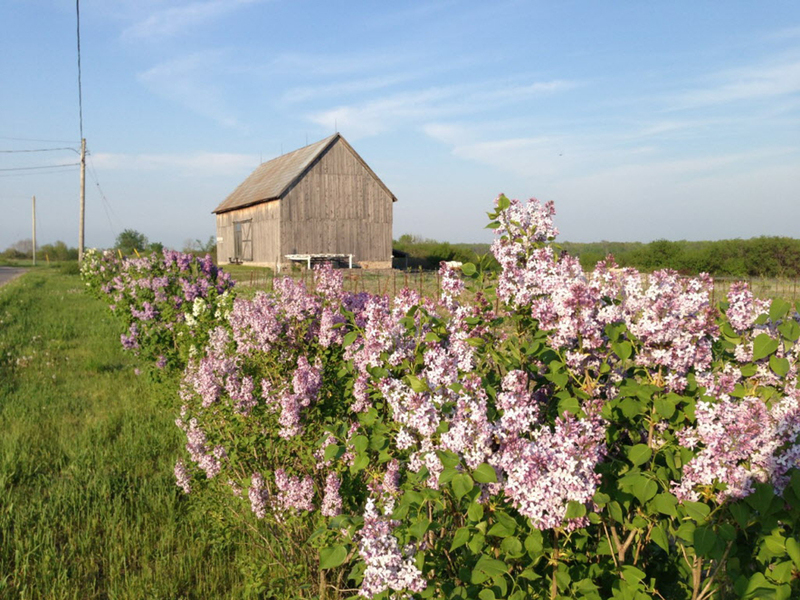 The official Prince Edward County site recommends the Loyalist Parkway Scenic Route as one of the best ways to see the area. The Loyalist Parkway Scenic Route follows a pioneer route connecting a number of historical settlements, all of which will be teeming with spring vegetation come April. Amid all the natural beauty, you’ll see some early Canadian architecture, heritage buildings and archaeological sites. For the history buff, it makes for one of the most compelling drives in Canada. Windsor is fantastic in the spring. It has plenty of flowering gardens, strolls and waterside promenades, as well as a good view of the Detroit skyline. If you wanted to do a “park to park” trip that will take you under four hours and put you in a good position to go visit the States (taking in a Blue Jays/Tigers game perhaps), try the Toronto to Windsor Drive. Start with High Park in Toronto, which attracts thousands in the spring for its cherry blossoms, and finish in Windsor’s Coventry Gardens, home of the Peace Fountain. If you need a car, contact us anytime here at AUTO ONE Group, and we can get you behind the wheel of your dream vehicle, either through leasing, financing or our easy car subscription service. It might be overrun with tourists in the summer, but in the spring the Okanagan Valley – located about five hours drive east of Vancouver – is just right. Not only are the plants and vineyards beginning to look lush and ripe after the winter, but the towns along the way aren’t too busy yet. Check out the bigger towns, like Kelowna, Vernon or Penticton or opt to stay at a winery along the way. Driving is pretty clear and crisp, and there are great views of the Cascade Mountains as you go. This is likely one of the first out-of-town trips you will plan if you lease a luxury car in Vancouver from us, and you will be richly rewarded for the choice. Another BC drive not to be missed during spring, this time heading north of Vancouver, is the Sea to Sky Highway, which transports you to Whistler. Like the aforementioned Cabot Trail, this is one of the best drives in the world, let alone Canada. The cliffside views of the Pacific coast, the temperate rainforest and tall mountains are pretty spectacular, and since the highway was revamped during the 2010 Olympics, the driving is pretty smooth. Because it is a mountain highway, some precautions should be taken. Check the weather and road conditions before you head out – you never know what spring has in store. Victoria, the main city on Vancouver Island (just a short ferry ride from Vancouver) is renowned around the world for its gardens, making spring an ideal time to visit. Start off at Butchart Gardens in Victoria and head up to the surf capital of BC, Tofino. Along the way, there are beaches, parks, old country markets, wildlife centres and more roadside eateries than you can possibly stop at. Once in Tofino, you can try your hand at surfing (provided the weather isn’t too chilly) or just relax on the beach. Spring will be here before you know it, and when it comes, lease a luxury car with us to make the most of the season. This is just a small sample of what a Canadian spring has to offer, but it’s a great start. Drive these stunning roads in style with the luxury car of your dreams.